The boys and I had the chance to catch a sneak preview of 'Arthur Christmas' in 3D - a feel-good holiday family animated movie - last week, thanks to DadsForLife and Sony Pictures. And with a movie title like that, it doesn't take a rocket scientist to figure what festive season this movie is all about. Sure, there are tons of Chirstmas-related movies out there. But have you ever wondered how in the world does Santa deliver ALL those presents in ONE single night? By going the hi-tech way of having a huge Santa aircraft (yup, not sleigh) and hundreds of elves who go in every house in every city in less than five minutes. Everyone's a team player... well, all except for Arthur who is extremely clumsy and accident-prone but with a heart of gold. And after all the presents are delivered, it is discovered that an error has occurred.... that a child has been missed! It turns out that one present had fallen from the conveyor belt and Arthur thinks the kid, a girl named Gwen from England, is going to think she's the one kid in the whole world that Santa doesn't care about. In desperation, Arthur and Grandpa Santa go out on the traditional sleigh and reindeer to get the last present delivered before sunrise on Christmas Day. Frankly, I wasn't expecting much from the movie. But the script provided a fresh update of the whole behind-the-scenes Christmas myths and most importantly, bravery, self-sacrifice and determination are strong morals that appear throughout the film. Coupled with some very witty (with a caustic edge) dialogue, I quite enjoyed the movie. As for the boys, they had the lively action sequences to keep them seated for the whole 97 minutes. Final thoughts - Made with heart and wit, Arthur Christmas makes an entertaining movie to catch with the kids. 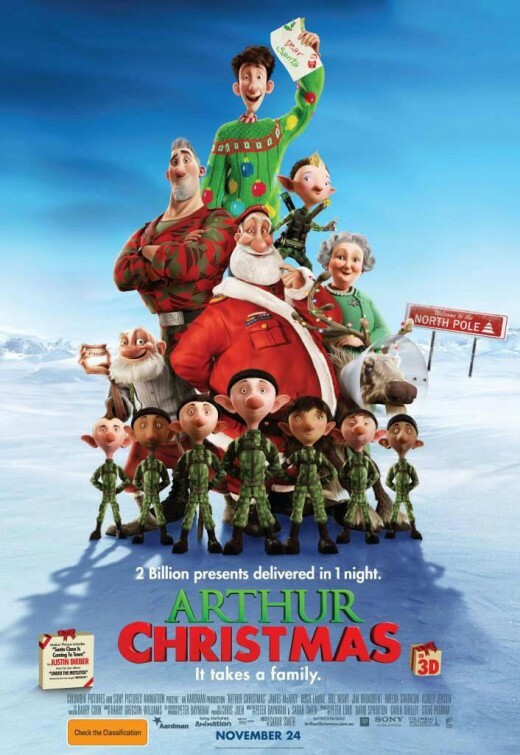 Catch Arthur Christmas in cinemas from 1 December onwards! That's one movie down for the holiday season (not forgetting that's a strike off #100 of our 100 Holiday Activities for Kids List... HA!) Guess the next one will be something with lots of slapstick humour that the boys will love as well. 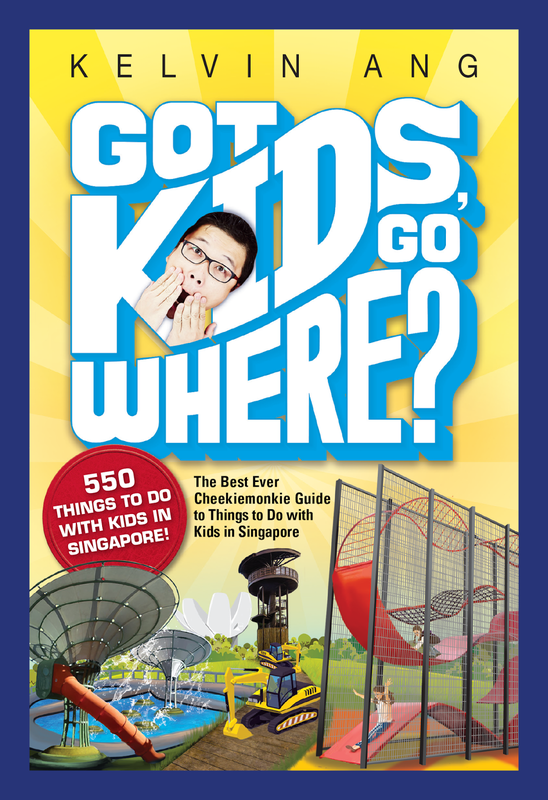 may i know where exactly that place your son photo with chipmunks?